Each year when Derby season ends and bets are cashed (or, losing bets are lamented over copious amounts of Bourbon), we awake that Sunday morning for the annual post-Derby day way-too-fancy-why-are-we-spending-this-much-money-on-brunch brunch, and I mourn the coming 300-some days until racing season returns. Last year, we were lucky- Breeder’s Cup brought the pomp and circumstance of the season back to Louisville in the fall, so there wasn’t as much time to feel sorry for my hats, sitting all alone in their storage downstairs. Still, the year has marched on, and suddenly, I find myself excited that the Kentucky Derby is only 100 days away! They weren’t kidding. When I popped into their shop earlier this week, shades of beige, tan, and bronze were everywhere, and there was so much black and white (including one spikey, black and white stripey, sort-of flowery number that I’ve already staked my claim on). “The fascinator trend continues to grow thanks to the help of Meghan Markle and Kate Middleton, so we are definitely making more and more fascinators.” This makes me so happy. 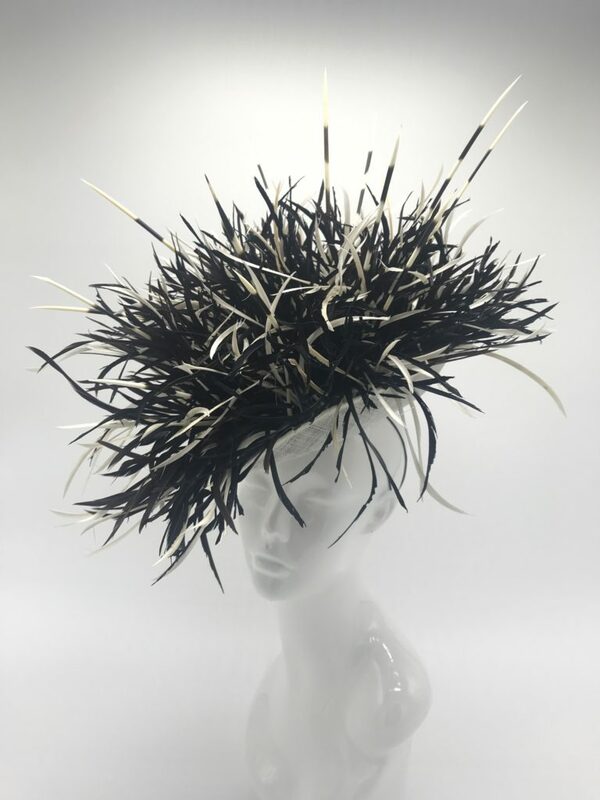 I love a huge headpiece as much as the next girl, but I truly believe that Derby Season is a time to take a risk (read: my porcupine from Thurby may be headed to the track again), and be a little adventurous with your headgear. Need a little help in the adventure department? Visit the girls’ Etsy site and Instagram adventures, and keep an eye out for The Hat Girls longer store hours as racing season approaches, as well as their pop up at ALoft Hotel downtown on Derby week. Thanks for the shout outs Joyce!!! ❤️❤️ We love you! You girls are THE BEST!! Can’t wait for this season! !